Regiment/Service:Royal Air Force, 98 Sqdn. Grave Plot: Sec. S.E. Grave 672. 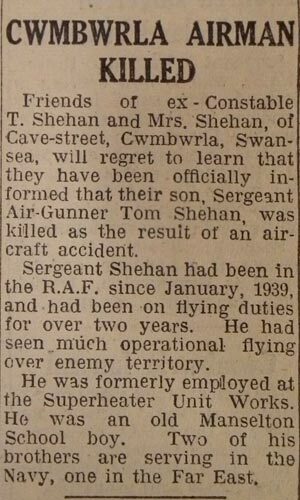 Additional Information:Son of Thomas and Mary Ann Shehan, of Cwmburla, Swansea.